This property ticked all the right boxes to meet our client’s property investment buying brief. What caught our buyers eye? 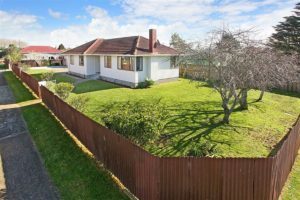 In addition to being an attractive rental for tenants, close to local amenities and transport routes in a popular South Auckland suburb, there are certain aspects of this property that allow for a strong return on investment. These include a full site and flat section, north west facing. Built in the popular weatherboard bungalow style in the 1960’s this property was recently renovated and comes with 3-bedrooms, 1-bathroom and as an extra bonus a garage converted into 3 utility rooms. This property was neat and tidy, with a fully fenced easy care section, and it was ready to rent straight away. Purchased for $740K the property was quickly rented by our property management division, Point Property + Portfolio Management, after settlement for $570 per week, a yield of 4%.